Composting is nature’s way of reusing your organic waste; and then turns these into a rich and nutritious soil called topsoil (or compost). Using red wigglers for composting may also speed up the process. This compost material usually comes out as a powdery, dark brown, earthy-smelling end product. You can also make compost from your bin out of leaves, grass clippings, food scraps, and soil; and by also using it for other composting and yard care alternatives. Using compost can be of great use to a lot of things. Composts produced by worms can help reduce problems related to pest and pesticide/s usage (especially in garden or farm usage), as this can be used as an organic alternative, which can later on lead to healthier produce. It can also be added on to soil to enhance its water retention ability. Not only that, composting can save you from spending a lot, as this can also be your alternative to chemically produced soil conditioners and chemical fertilizers. Aside from these useful facts, there are also other useful ideas involving composting and other yard care options. Let me share to you some of the best ones I know. Idea 1: Composting can serve as a learning tool. You may even get both adults and children to learn how to vermicompost. And more importantly, kids who get involved in projects like this will definitely learn about nature and the cycle of life, as well as garbage disposal alternatives. Idea 2: Maintain the exterior beauty of your home by also taking care of your yard. Do this by choosing your preferred grass type. There are also things to consider prior to a grass purchase, like knowing your budget, the normal temperature in your area, your design preference, as well as time investment for yard maintenance. You can use Bermuda, St. Augustine and Buffalo for warm weathers; and Kentucky Bluegrass, and Fescue assortments during cold conditions. Idea 3: When you compost using worms, you’ll be able to supply your yard with a quality-made natural fertilizer. This organic fertilizer is the best option to use (chemical fertilizer vs. organic fertilizer) and should be considered more for its array of benefits, especially for your gardening and/or farming needs. Your yard may definitely need you to supply it once in a while, with additional nutrients to keep it more stable and intact. Idea 4: Organic fertilizers harvested from worm composting may also serve as a natural pest control for vegetables. You can make worm tea out of this, for which you can use as a foliar spray for your vegetables. Idea 5: Compost products may also serve as an organic weed killer for your yard. You may use a power sprayer for this process, as it can cover a big area all at once. Try applying these composting and yard care alternatives to your gardens and plants today. If you’re having problems with weeds sabotaging your organic garden, and having trouble getting rid of unwanted wild plants, then GardenWorms has just about the right solution for you. 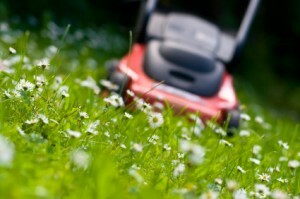 We offer an array of organic weed killer products that will help eradicate weeds. To know more about the product, check the Organic Weed Killer Products here. This entry was posted on Wednesday, July 14th, 2010 at 3:41 am	and is filed under Worm Composting. You can follow any responses to this entry through the RSS 2.0 feed. You can leave a response, or trackback from your own site.